During an October meeting in Prague, British representatives assured Czech academics that even if Brexit happens, scientific cooperation between countries will continue and Horizon 2020, the biggest EU research programme, will go on without any restrictions. Whether the UK will participate in the programme beyond 2021 remains unclear, however. In the meantime, Czech scientists currently working at British universities may apply for settled status. Read soon in Universitas magazine: An interview with British Ambassador to the Czech Republic Nick Archer MVO. There is nothing to fear. Scientific cooperation will continue after Brexit: the British government is able to find funding for Czech-British projects currently in progress. In the middle of October, representatives from British research institutions and universities came to Prague to discuss how scientific collaboration after the UK leaves EU in March 2019 might be set up with Czech academics. Czech participants at the closed meeting included President of the Czech Academy of Sciences Eva Zažímalová, Vice-president of the Research Innovation and Development Council Petr Dvořák and President of the Academic Senate of Charles University Tomáš Nigrin. (A reporter from Universitas magazine was invited too). Support of current research programmes is still possible, even in the event of a no-deal Brexit. Horizon 2020, the biggest EU Research and Innovation programme ever, finishes in 2020, however. Nobody from the UK can say how the UK will participate from 2021. One thing remains clear: if the UK does not participate, the programme will not lose money. Conversely, more money will be allocated than is the case now. Finance allocated for the EU programme should rise independently of Brexit. It is assumed that EU citizens living in the UK, including Czechs, will have to apply for so-called settled status by May 2021. EU citizens who work at universities, in health-care institutions and social services may already apply for settled status in a special pilot project. EU citizens working at British universities are an important part of our campus and university communities. Many top scientists and key employees at British universities are from other European countries. Any EU citizen who has lived in the UK for at least five years can apply for settled status. The application fee is GBP 65. Those who have not lived in the UK for five years may stay, assuming they ask for pre-settled status. As soon as they reach five years of residence in the UK, they may apply for settled status. Staff at the British Embassy in Prague are faced with a slight uncertainty, too. Every day they receive requests from university students – mainly from faculties of medicine – for information on how university degrees and qualifications will be recognized after Brexit, when the UK is no longer part of the EU. “We reply by saying: We do not know yet if and how university degrees and diplomas will be recognized after Brexit, but we will do everything we can to deliver a smooth process afterwards,” said Otakar Fojt, a scientific attaché at the British Embassy in Prague. The number of British researchers active in the Czech Republic is not very high. According to the database VaVai, in 2017, 79 scientists from the UK were working in the Czech Republic. After Brexit, British researchers will be allowed to stay and work in the Czech Republic, but they will probably have to apply for a visa or residence permit. 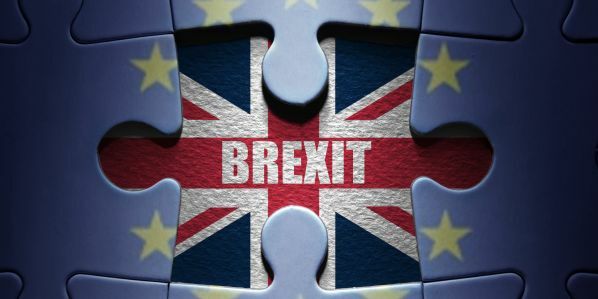 “After Brexit, the UK will be considered a third country,” said Vendula Kodetová, a spokeswoman for the Czech Research innovation and Development Council.